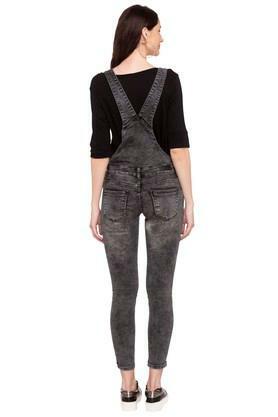 Add a feminine print to your occasion wardrobe with this pair of dungarees from Deal Jeans. It comes with a washed pattern that makes it look stylish, while the square neck adds to its look. It will ensure a relaxed feel and it is skin friendly. 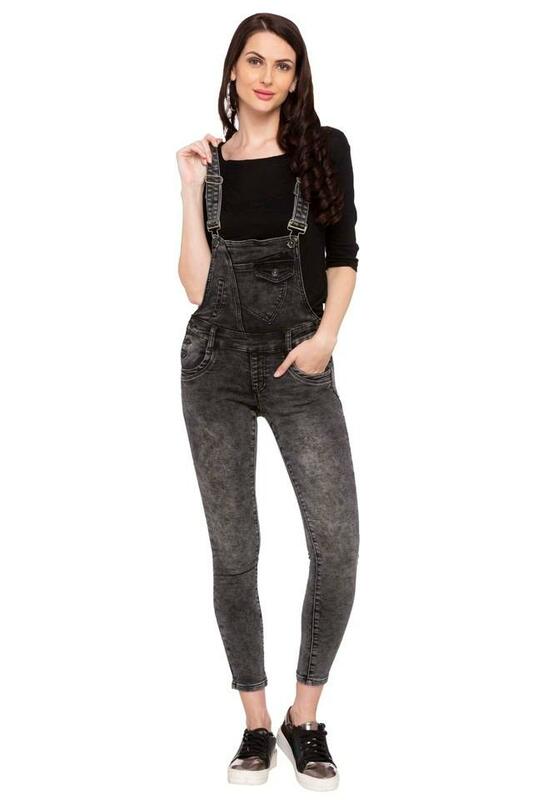 Above all, the use of a good quality fabric promises to keep you at ease. 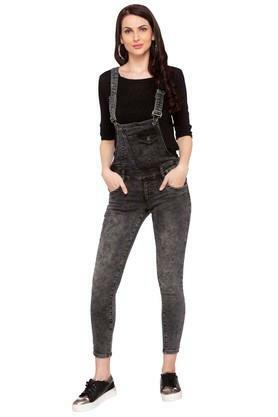 Make a charming choice for casual occasions with this pair of dungarees. 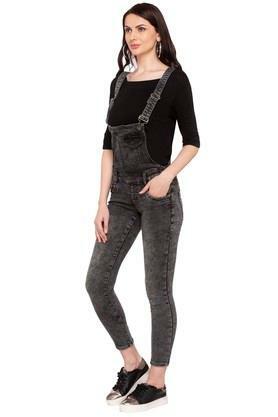 Team it over a t-shirt along with a pair of heels for a stylish look.